Start learning the basic building blocks of website design. The year is 2019, and it's about time you knew how to build your own website. 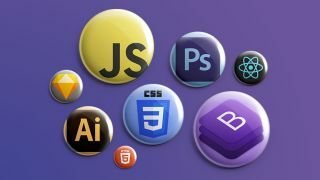 The Complete Front-End Developer Bundle gives you all the knowledge you need to begin creating web pages from scratch. This bundle has a MSRP of $1419.97, so you're going to want to nab this deal at 97 per cent off and get it for $41 today. In order to build a website, there are some basic building blocks you need to master. Don't have any prior experience? No problem! These nine courses give you over 66 hours of training in these front end fundamentals, and the breadth of information means even a beginner can get into the swing of things while taking in the classes. Get all of the knowledge included in The Complete Front-End Developer Bundle today for just $41 here.